The COLOR Issue Vol. 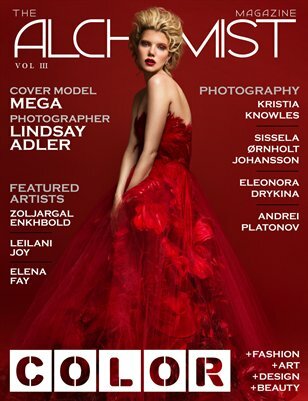 III of The Alchemist Magazine features model Mega on the cover photographed by Lindsay Adler. The issue also features photography editorials by: Kristia Knowles, Sissela Ørnholt Johansson, Eleonora Drykina and Andrei Platonov. Featured Artists: Elena Fay, Leilani Joy and Zoljargal Enkhbold.